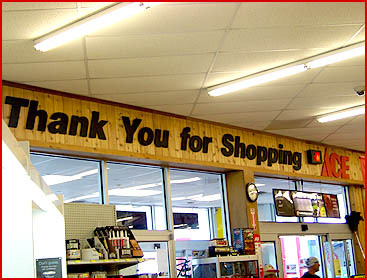 Come in to Miller Supply ACE Hardware for friendly, courteous service. Our staff is here to serve you with all of your project needs. Dale Miller, store owner, and his staff serve the store's patrons with a family like atmosphere. "Good, down-home" customer service began back in 1951 when Anthony Kozero opened his paint store on Main Street, Northampton, PA. Dale K. Miller joined the business in 1974, and became a partner with Kozero’s son, Paul, in 1979. They became an ACE Hardware store in 1980. In 1995, Paul Kozero retired. Dale Miller bought the entire operation, which is still in business today. A quote from Dale Miller about the store and their customer service - "It's nothing special, just doing our everyday job and trying to do it well. We aim to be customer-friendly here. We treat the customers like they are guests in our home and make them feel welcome. We do our best to keep everyone happy and make shopping here a pleasant experience. I can't thank our customers enough for their support over the years. We've been doing well, the store had a good foundation with the Kozeros. They built a good reputable business & they taught me the ropes, says Miller." In June of 2000, Dale, & his employees took a GIANT leap! They moved his hardware store from Weaversville Road, Northampton, to Route 329 & Savage Road, Northampton. This move allotted for more space; from 15,000 total square feet to 23,800 square feet. The toughest part of the move: keeping that "small store" feeling. Miller Supply ACE Hardware stocks something for every customer, from professional contractors to ambitious do-it-yourselfers. 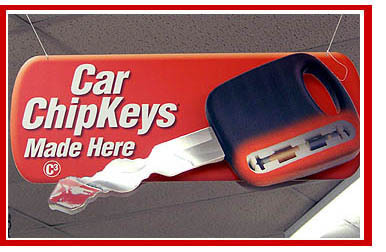 You will find a wide range of standard hardware and home-improvement products. From paint to plumbing supplies, pool chemicals, Weber grills and accessories. We also carry a full line of Stihl chainsaws, trimmers & blowers. 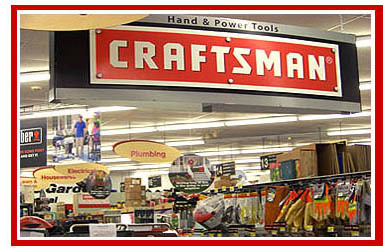 Miller Supply ACE Hardware carries a large variety of what you need for your special projects. We also offer services such as key & glass cutting, propane tank filling, screen repairs & window/glass repairs. "Our Paint Department is one of the best around," Miller proudly acknowledges. Miller Supply's Paint Department has repeatedly won awards, which he contributes to his staff, their in-depth knowledge and training in custom paint matching. Along with the Paint Department, the Contractors Department will keep the outside of your home looking beautiful with quality roofing, siding products, replacement windows. We also supply gutters, downspouts, other accessories. Roof-top deliveries are no problem with our fleet of trucks. Doing some home improvements? Rentals are also available! Bissell Carpet Cleaners and Bissell Power Washers are ready to tackle the job with you! You can also rent a cement mixer or a floor sander. Miller is most proud of his 30 plus employees, some of whom have been working along side him for over 35 years! JoAnn Koehler, Office Manager & Tim Snyder, Warehouse Manager both have over 35 years of service. Store Manager, Michael Stasko is with us for 25 plus years. Sheila Seman, Asst. Store Manager, and Office Assistant, Elena Seigel have 20 plus years. Matt Seip & JR Dashuta over 18 years. Longevity of service speaks volumes! "The employees really have done so much for me. I could never have done it alone," Miller insists. "The livelihood of the store depends on the dedication of my employees and the loyalty of our customers, both long-time & new." 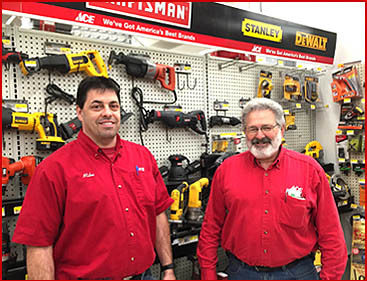 With roots deep in the community of Northampton, customers come to Miller Supply ACE Hardware because they know a knowledgeable, friendly staff lead by the store's owner, Dale Miller, are there to be of service! 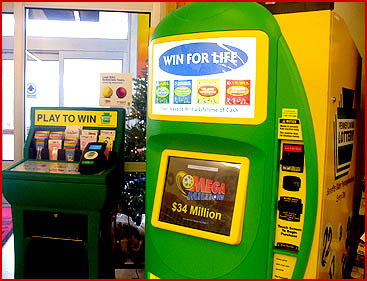 We have a PA Lottery machine for our customer's convenience. Check your Lottery Tickets - Click image above - Good Luck! We value our customers, please stop by again soon.